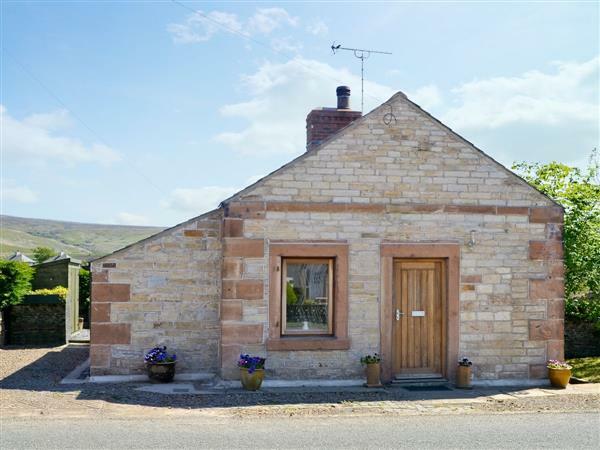 Blackhill Cottage in Hallbankgate, near Brampton sleeps 2 people. Blackhill Cottage is a traditional detached Cumbrian holiday cottage; the cottage has been carefully renovated by the owners to retain a wealth of charm, including a large feature inglenook fireplace, whilst still providing all the contemporary conveniences you would expect, such as large waterfall shower in the en-suite. You can explore Brampton, with its range of good restaurants and pubs nearby, or sit yourself in front of the wood burner and have a relaxing night in. Blackhill Cottage near Brampton is set on the A69 in the village of Hallbankgate, which means you are ideally placed for exploring Hadrian’s Wall, the great border city of Carlisle, the Scottish Borders, Alston, which is England’s highest market town, and the Lake District. The shop is 8 miles, with the pub and restaurant 1 mile from Blackhill Cottage near Brampton. Blackhill Cottage is all on ground floor: Living room/kitchen. 1 double (5ft) bedroom (no door) with en-suite shower room and toilet. Wood burner in living room (initial fuel included). Underfloor air source heat pump central heating, electricity, bed linen and towels included. Freeview TV. DVD. Induction hob. Electric oven. Washing machine. Dishwasher. Wi-Fi. Courtyard with patio, sitting-out area and furniture. Parking (2 cars). Cycle store. Welcome pack. No smoking. Holidays at Blackhill Cottage near Brampton run from Friday to Friday. Pets allowed at Blackhill Cottage. For a better idea of where Blackhill Cottage is, you can see Blackhill Cottage on the map below. Blackhill Cottage is in Cumbria; should you be on the lookout for a special offer, you can find all the special offers in Cumbria. It's always worth checking to see what is on offer at the moment. Do you want to holiday near Blackhill Cottage (W43702), you can see other cottages within 25 miles of Blackhill Cottage; have a look to find your perfect holiday location.